2. Take the temperature of your water. 4. Rise the dough twice. 5. Rise it in a warm spot. 6. Get stressed about baking with yeast. All those things are history! Once I learned that you could bake amazing crusty bread at home with no kneading and almost no work, I set out to make it as fast and easy as possible. I’ve already shared my method for making the fabulous crusty bread that bakes in a Dutch oven. You mix the dough together, cover, and let it rest for 3 hours. You shape it into 8 rolls and let them rest for 35 minutes. You take the same 35 minutes to heat up your oven. 33 Comments on "Make Artisan Crusty Rolls at Home"
Can the roll dough be frozen before cooked? Was thinking of baking a huge batch of these rolls for thanksgiving. I have only frozen them after baking and they reheat and re-crisp beautifully. See my note about freezing at the bottom of the recipe. Jenny is it possible to add kimmelweck tothese rolls ? Hi Jenny. I have been making crusty bread and rolls for years, dragging out the kitchen aid to knead the dough, with three rises and spritzing the dough with water during the baking process. I came across your recipe and decided to try it. Wow! So easy! And just as good and crunchy as my labor-intensive recipes. Thanks, Jenny. I’m making your Dutch oven bread today! So excited! I have half a batch rising on the counter now. I love that you try to make these foods slightly healthier without going too crazy with exotic ingredients. Don’t listen to the wannabe health experts that comment on the video. I’m a medical student and can vouch that your versions are healthi-ER than others I’ve seen online 🙂 I wish I found you sooner! Aerated flour before measuring. Used Hot water. A gloppy mess after rise. Added flour and no help. Where did I go wrong? I now make these every morning. Makes for a very happy husband. We call them “snappy buns” . The tucking is key to a perfect shape. Thank you, Jenny. at last a recipe for idiots.best rolls i have ever made.thanks very much jenny.making some more as i type. Great easy recipe. Thank you.. Have tried many time before over the years but never had such a nice fluffy roll. Just finish making this crusty rolls I followed the recipie and it came out wonderful.Thanks Jenny for making me a good baker I love to bake with you.Looking foried for some more recipi. I would like to bake crusty buns however my oven can only goes up to max 400 degree F (200 degree C). Any recommendations? If putting dough to rise in a bit of olive oil in bowl, would this make a huge difference in the roll texture? This recipe is proven the way it is and it’s very different from regular yeast breads that “rise.” I don’t know what will happen if you put oil on the dough. It may not puff up if it can’t stick to the sides of the bowl. You may have trouble shaping the rolls. Oil on the dough may take away from the crusty exterior. I really have no idea. I’m just curious why you want to try adding oil? My dough was overly wet, could not handle dough to form balls so I just scooped dough into a couple of aluminum muffin tins and it baked beautifully. The shape and texture of the rolls was perfect, but I will cut back just a tad on the water next time. THANK you Jenny! well, i am rather a novice baker having first attempted making soft flour tortillas kneading by hand and rolling with a pin. that turned out very well so i decided to take it up a notch. i do not own a dough hook or any fancy baking stuff so the no knead recipe was immediately caught my attention. my first time out of the gate was excellent and i have made this recipe countless times with varying results. little things like making sure my house temperature was warm enough for the yeast to rise…etc. one “mistake” was having used hot tap water for the overnight method (which works best for me), and i found a very fluffy dough waiting for me the next day. it turned out beautifully and my little rolls were fluffier. my “guinea pigs” love it so much, your recipe is in high demand. 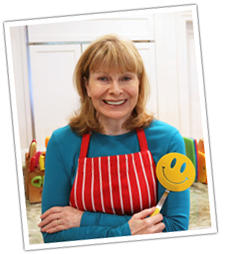 so, i thank you very much and i will definitely be checking out more of your recipes!! Hi Jenny, I use to be scared to try and make bread. But you made it seem so easy, so I made your Crusty rolls. They came out great! I made a double batch since I was making them for my daughter and her 4 children, 6 people in all. Everyone Loved them! Thanks! I also made your round bread in the Dutch oven. That was amazing! I Love all your videos, you have a wonderful sense of humor! I look forward to making more of your recipes. I love to cook and love all your ‘stuff’. Have been baking bread for quite some time and a few of your followers who have trouble with bread perhaps should be warned that yeast ‘dies’ at temps over 120 degrees. I still check my liquids with a thermometer just in case. Again, love all your recipes and your presentations. Keep it up. Hi Jenny: I took your excellent advice and went to http://www.breadworld com/education/YeastBasics and found I was partly right. They recommend Active Yeast to be best used at 100-110 degrees and Rapid Rise or Bread Machine yeast 120-130 degrees. I wasn’t aware of that difference so many thanks. Quickly prepared dough techniques today turn out so good. Perhaps that’s the result of the Sullivan Bakery idea of the double oven which still works very well if you don’t mind the extra work. Can you expand on the double oven? This is new to me. Thanks. I think he meant “dutch” oven, not double oven. Sullivan Bakery is where Jim Lahey developed the “no knead” method of bread baking (which I simply adore). 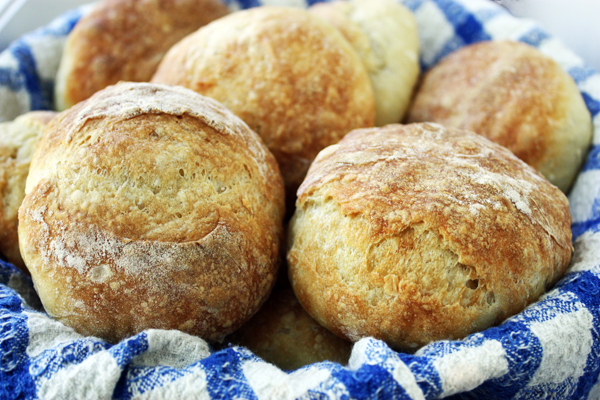 I am an avid bread and rolls baker and have been searching for a crusty roll recipe for years! These came out delicious and were so easy to make. Thank you. I will check out some of your other recipes. I try to stay away from white flour. 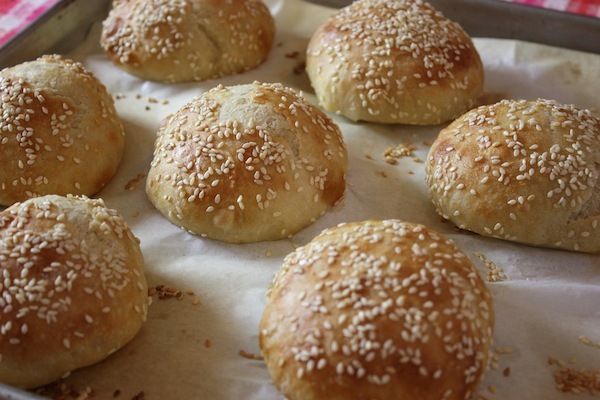 How could you do these ‘no knead crusty rolls’ with King Arthur white wheat flour? White wheat flour will probably make the rolls more dense. You could try subbing part of the flour. I’m with you on white flour but for me, some things just don’t work with whole wheat, red or white. It’s still whole wheat and makes most things more dense and heavy. I made this delicious and easy bread with 1 cup of King Arthur whole wheat and 2 cups of KA all purpose white flour. It came out delicious. Gave it a nice flavor and nice texture. I think a list of ingredients and amounts would have been helpful. jenny this seems so easy. will give it a try i did try the potato pancakes they were awesome.